Disney on Ice Passport To Adventure is coming to Mohegan Sun Arena! We absolutely LOVE spending time together as a family - watching as the magic of our favorite Disney films come to life on the ice right before our very eyes. 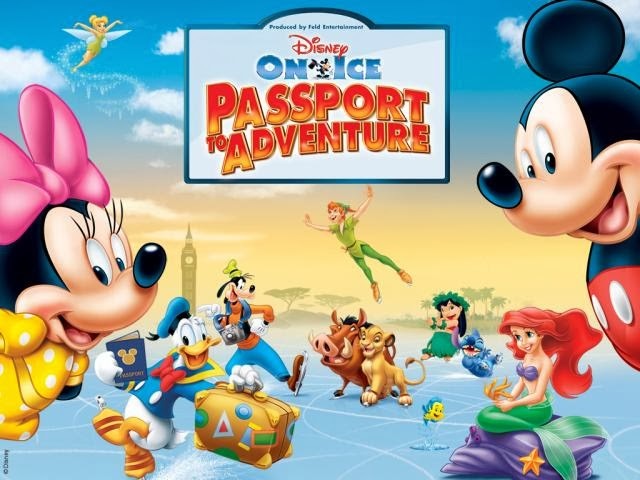 Attending Disney on Ice has become an annual tradition in our home and we cannot wait to see Disney on Ice Passport to Adventure! Embark on the ultimate sightseeing vacation with all your favorite Disney characters in Disney On Ice presents Passport to Adventure. Join Mickey, Minnie, Donald, Goofy and Daisy on a journey to the magical worlds of Disney’s The Lion King, The Little Mermaid, Peter Pan and Lilo & Stitch. You’ll explore the Pride Lands with Simba, Timon and Pumbaa; voyage under the sea with Ariel and all her aquatic friends; tour London with Peter Pan and Wendy, before flying to Never Land; and travel to Hawaii to visit Lilo and Stitch. Upbeat music, lovable characters and exciting destinations make Disney On Ice presents Passport to Adventure a vacation you’ll never forget. Tickets are on sale now at the Pennstar Box Office at Mohegan Sun Arena or any Ticketmaster outlet. Ready for a Disney family adventure? Catch Disney on Ice Passport to Adventure at Mohegan Sun Arena in Wilkes Barre, PA from January 15, 2014 - January 20, 2014! Ticket prices vary depending on where you would like to sit in the stadium. Rinkside Seats are $60 (per person) VIP Seats are $40 (per person) and Upper/Lower Section Seats are $25. Disclosure: Our thanks to Feld Entertainment for providing event tickets to facilitate our honest review of the show. All thoughts and opinions expressed are our own.